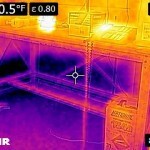 Looking for help with your Mold Claim? Water damage claim which caused mold as an ensuing loss. As Licensed Florida Public Adjusters we receive many calls for Mold Damage Claims. The first question we ask these policyholders is – What happened? More times than not we get the same answer, ” I’m not sure, I just see (or smell) mold.” This answer in and by itself can create additional questions or problems when it comes to how your insurance company is going to view and handle your Mold Claim. As a Florida Public Adjuster, most if not all of the policies that I have seen specifically exclude mold and then put it back in the policy through an endorsement. There is going to be special limits of coverage for mold, typically $10,000 or some people opt to increase it it $50,000. One important thing to keep in mind is that this coverage is not typically a stand alone coverage, you first need to trigger coverage from a covered loss. This means you still need to have had an incident that was sudden and accidental. 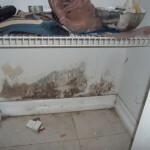 In the event you suspect you have mold damage to your property be careful as to how you convey your situation to your insurance company as you may say the wrong thing and find yourself with a denied claim. Claim Concepts is in a unique position to assist with Mold Damage Claims as Greg Roover, the President of Claim Concepts is a Florida State Licensed Mold Assessor as well as a Licensed Florida Public Adjuster. Request a Complimentary Mold Damage Claim Consultation!